Green Men, Kings and Queens, Red and White Dragons, Maypoles, Morris Dancers, Drummers, Dancers, Costumes, a Town Crier, and oodles of colour! 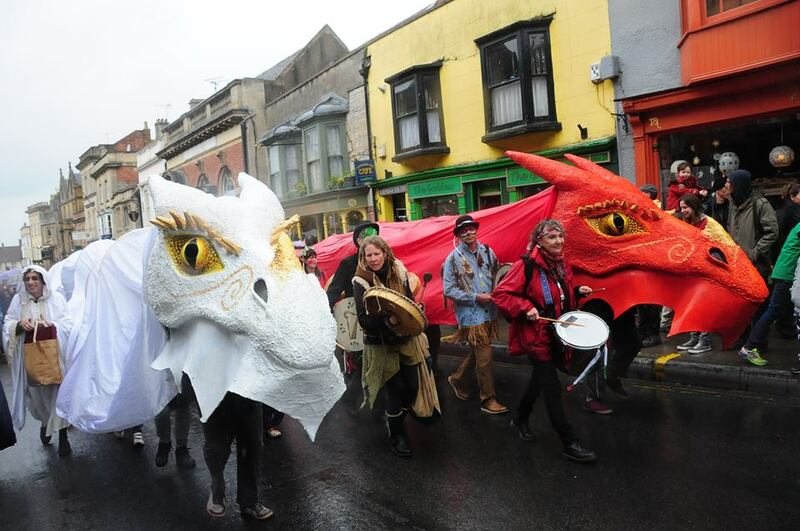 All can be seen during the Beltane period in Glastonbury. Visitors from far and wide come to join in the celebrations, some even travelling from the US and Australia. Organisations, groups and individuals in the community all offer something for everyone to enjoy. 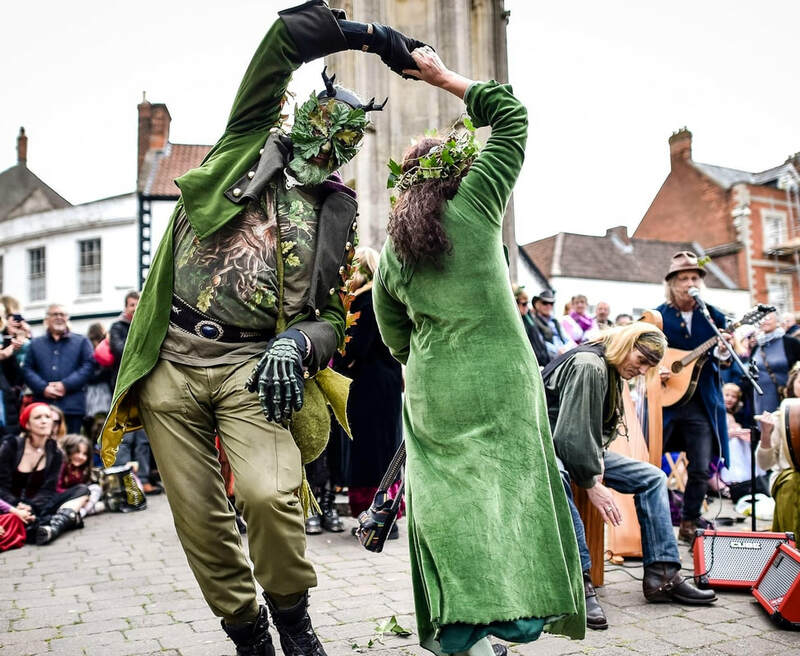 Be it a climb to the Tor to witness the Morris Dancers at dawn, join the Maypole procession up through the lanes to Bushy Coombe or just to soak up the celebratory atmosphere, a trip to Glastonbury during this time is the highlight of the year for many people. Beltane is a festival that honours life and the beginning of summer. Earth energies are at their strongest and most active and all of life is bursting with potent fertility. On May Eve the passion of life and the earth is at its peak. Abundant fertility, on all levels, is the central theme. The Maiden, as the manifestation of growth and renewal, becomes the May Queen, the May Bride. 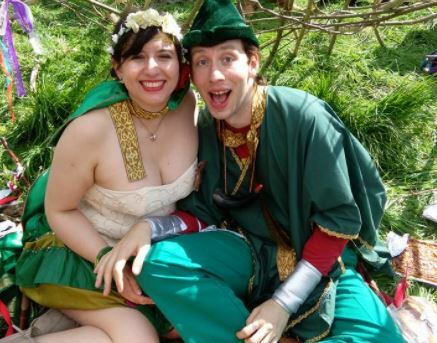 The Young Oak King, as Jack-In-The-Green, as the Green Man, falls in love with her and wins her hand. The union is consummated and the May Queen becomes pregnant. Together the May Queen and the May King are symbols of the Sacred Marriage and this union has merrily been re-enacted in one way or another by humans throughout the centuries. Please note we are not responsible for the listed events and they are offered here for your convenience. Where relevant, please contact the individual organisers. Times listed may change. You are advised to keep calling back and checking to avoid disappointment. Women: You are invited to share in the traditional hole digging ceremony and bower building at Bushy Coombe. Meet at 11am on Dod Lane, by the Shekinashram. Glastonbury Beltane (May Day) Celebrations Facebook Page. Men: Meet at 11am on Wearyall Hill for the felling, carving and carrying of the Maypole into the town. Glastonbury Beltane (May Day) Celebrations Facebook Page. Beltane Ceremony - Goddess Hall, Benedict Street. 7.30pm - 9.30pm. Website. 8:00 pm – 11:45 pm. 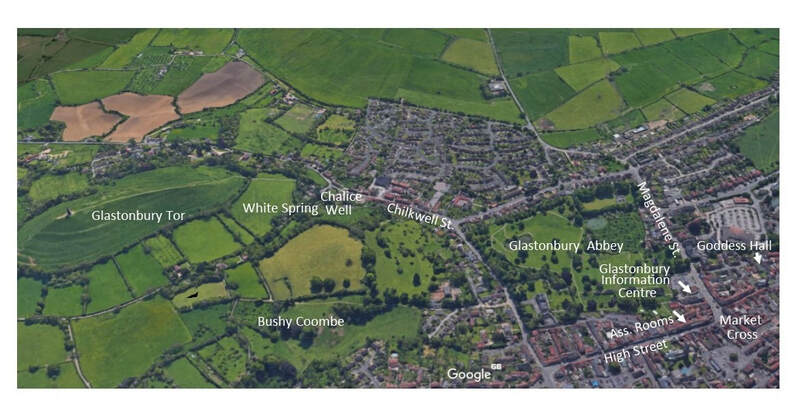 Glastonbury Community Celebrations. The Assembly Rooms. Entry by Magic Hat donation. All Welcome. A gathering of local musicians and performers to honour and celebrate the season turning. This year’s Beltane Celebration is hosted by the first chaired Bard of Ynys Witrin- Tim Hawthorn. Website. Tor - From dawn onwards. Cam Valley Morris Dancers, from 5.30am onwards. Website. 6 am to 12 pm. Morning meditation around the Beltane fire at 7 am. Maypole dancing at 8:30 am, accompanied by live music.Gather at the well head for midday meditation until 12.30. Website. Glastonbury Information Centre/ Glastonbury Abbey. Times tbc. From midday at the Market Cross, Morris Dancers & Drummers etc. 1.00pm entertainment begins at the Glastonbury Information Centre performance area. 1.40 the White dragon appears. 1.50 the Red dragon appears to battle the White. 2.00pm procession to the Fairfield. 3.00pm to 6.00pm music and other performances and market stalls in the Abbot’s Field - entry from Magdalene Street gates. 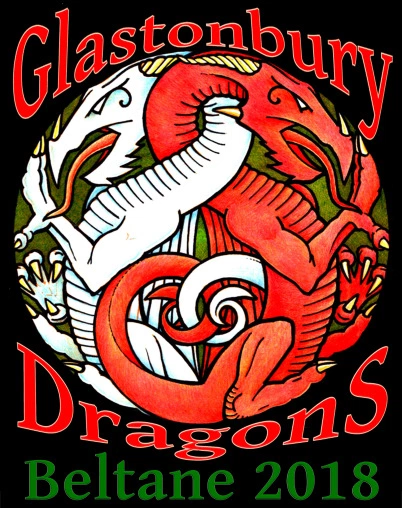 The Glastonbury Dragons. Photo courtesy of John Moore.